offers professional behind-the-wheel and classroom driver’s education classes. 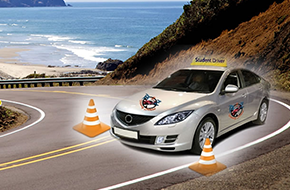 A 2 Z Driving Academy provides drivers education courses for both adults and teens learning to drive. A 2 Z Driving Academy can help you improve your driving skills to become a better driver on the road. 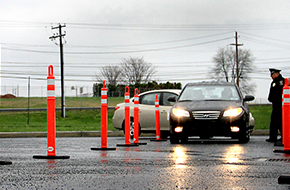 At A 2 Z Driving Academy in Manassas, VA, we have one goal, which is to help you become the best driver possible. We offer top-quality behind-the-wheel and classroom driver’s education programs taught by DMV-certified instructors. Over our more than 15 years in business, we have helped thousands of teens and adults obtain their driver’s license and/or learn to become a better driver. Our driving academy teaches everything from drivers’ education classroom training, to behind-the-wheel training, to driver’s improvement classes, and everything in-between. We can help you obtain both your learner’s permit and/or driver’s license depending on your specific situation. Our lesson will teach you a variety of driving skills, including defensive driving, risk management, drug and alcohol safety, steering, parallel parking, braking, highway and city driving, and so much more. We use newer-model vehicles to make learning to drive as easy as possible. Our fleet of vehicles is well maintained and includes safety features such as dual brakes and steering wheels. This will help to make you feel safe and secure while you are learning to drive. We offer both automatic and stick shift training, depending on your requirements. Our office is open seven days a week to make it more convenient for you to schedule your classes. When taking behind-the-wheel courses, your instructor can pick you up at your home, workplace, school, or any other local location. We offer very affordable rates, and have several package plans available to make our lessons even more affordable. We pride ourselves on “Teaching Driving with Safety in Mind.” Reach out to A 2 Z Driving Academy in Manassas, VA to learn more and mention our web site get 5% off.